The following is an excerpt excerpt from my new book The Protein Book: A Complete Guide for the Athlete and Coach. At 240 pages and with over 500 scientific references, I examine the topic of protein nutrition for athletes in a comprehensive fashion. These excerpts are from Chapter 8 on Nutrient Timing around Training which deals with optimizing nutrient intake before, during and after workouts. Based on early data looking at glycogen resynthesis, the idea of a “window of opportunity” in terms of post-workout nutrient intake has long been discussed. For example, early research found that the consumption of carbohydrate/protein 1 hour following endurance training yields better results than waiting until 3 hours after training (50). It’s less clear whether the immediate consumption of protein/carbohydrate after resistance training is required for optimal gains.In elderly individuals, the consumption of protein/carbs immediately after training, as opposed to waiting two hours, significantly improved muscle gain (51) while in younger individuals whether aminos/carbs were given one or three hours following resistance training, the effects on acute protein synthesis were the same (52). Older individuals typically respond differently than younger individuals (consider the difference in response to protein “pulse” feeding between older and younger subjects discussed in Chapter 7); this may explain the difference in results between these two studies.Additionally, if nutrients were consumed before and/or during training, amino acids and carbohydrates will still be available in the post-workout period. Whether consuming additional nutrients immediately after training would be of additional benefit is currently unknown.As mentioned above, from a physiological standpoint, it makes logical sense to provide nutrients immediately after training to shift the body back into an anabolic state. In addition, blood flow to the trained muscles is typically higher following training, as is AA uptake (53). Providing additional nutrients at that time would certainly seem to be beneficial.However, if pre- and/or during-workout nutrition is consumed, it may not be crucial to consume a post-workout shake or meal immediately after training as breaks of one to three hours appear to have no major impact in the short-term. A final issue that has received relatively little study is whether liquids or solids post-workout are superior. From a glycogen resynthesis point of view, it doesn’t appear to matter whether liquids or solids are consumed following training (64).In terms of resistance training, I’m only aware of one study which compared a solid and liquid meal following resistance training and examined a variety of hormonal parameters (65); no measures of protein synthesis or breakdown were made. The meal provided 38 grams protein (0.41 g/kg), 70 grams carbohydrate (0.75 g/kg) and 7 grams fat. The liquid meal was a blend of whey, casein and milk protein along with maltodextrin, sucrose and dextrose with canola, MCT and borage providing the fat; the solid meal consisted of skinless chicken breast with rice.The only difference seen was that the liquid meal maintained insulin at a higher level compared to the whole food meal, possibly due to the insulinogenic effects of whey or the faster rate of digestion for liquids versus solids. This could potentially stimulate protein synthesis (or inhibit protein breakdown) more effectively although this was not examined in the study. Of practical importance, the subjects reported finding it easier to consume the liquid meal following training. This is not uncommon as many athletes find their hunger blunted following intense training. Practically speaking, a liquid meal often makes it easier to consume sufficient post-workout nutrients.As well, athletes looking to maximize glycogen replenishment for a second training session later in the day would likely benefit from the increased insulin response; they would also be able to eat again sooner by not having a solid food meal digesting. Finally, liquid nutrients following training would also go towards rehydration following the workout. My recommendations for post-workout nutrition appear in Table 4 below. Continuing with the theme of this chapter, endurance athletes will be consuming more carbohydrate and relatively less protein following training while a strength/power athlete would be consuming relatively less carbohydrate and more protein. The ideal protein post-workout is unknown although emerging data suggests that a slower protein such as casein or a mixture of fast/slow proteins such as MPI (or a half and half mixture of casein and whey) might be ideal. Carbohydrate sources ranging from dextrose to maltodextrin (a long chain polymer of glucose) with some fructose (to refill liver glycogen, important for overall anabolism) can be consumed. Waxy maize starch (commercially sold as Vitargo) may be beneficial for athletes who need to maximize glycogen synthesis between two workouts which are very close together although I tend to doubt it has much benefit for athletes training only once per day (where maximum rates of glycogen resynthesis are not required). Athletes who prefer to consume whole food following training should generally pick somewhat more easily digested foods such as lower fat protein (chicken, fish, low fat red meat) along with higher GI carbohydrates (potato, breads, rice, etc. ).The range for carbohydrate intake post-workout is necessarily large due to the differences in the types of workouts that might be included in the above categories. The values above are given in an attempt to cover the myriad possibilities that might come up and I want to discuss some of those eventualities here (I’ll address this issue in more detail in Chapter 13). For strength/power workouts, the choice of post-workout carbohydrate amount depends on the nature of the workout (volume and type of training) along with the goals of the workout. The larger the volume of work in the glycolytic range (work bouts ranging from roughly 30-90 seconds), the more glycogen that is used and the more it will be necessary to replenish glycogen following training. An athlete performing a large amount of bodybuilding type of work would require more carbohydrates following training than an athlete performing lower repetition “neural” training.Additionally, an athlete looking for maximal gains in body mass would tend towards the higher amounts of both protein and carbohydrate after training when compared to an athlete who was simply trying to maintain body weight (or explicitly avoid mass gains); the latter athlete would consume relatively less carbohydrate (and possibly less total protein as well). The issue of protein intake for athletes has been a source of debate, argument and controversy for decades. Mainstream nutritionists typically argue that athletes don’t need more protein than sedentary individuals. Alternately, they will claim that athletes get sufficent protein already (and there is some truth to that idea). In contrast, research strongly suggests that athletes do need more dietary protein. Bodybuilders and other strength/power athletes have long felt that they make better gains on higher protein intakes. 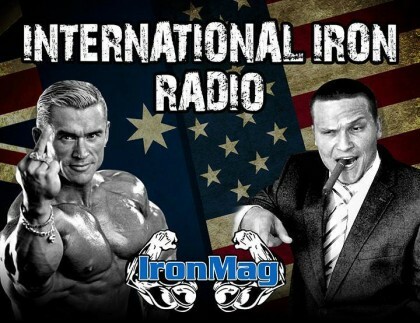 Bodybuilding magazines, usually with ties to supplement companies, have long pushed massive protein intakes on athletes, especially strength/power athletes and bodybuilders. Expensive protein powders and supplements are sold claiming to increase protein synthesis and skeletal muscle gains by huge percentages. And while endurance athletes have long emphasized high carbohydrate intakes, there is emerging interest in the importance of protein intake for those athletes in terms of increasing performance, decreasing muscle damage, and improving recovery and adaptation to training. When should protein be consumed around training for optimal results? 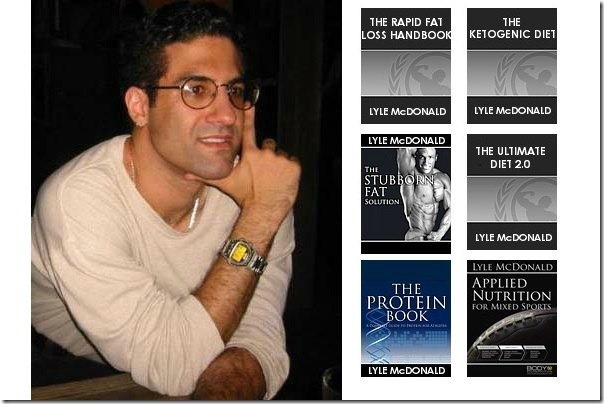 The Protein Book covers all of these issues and more! 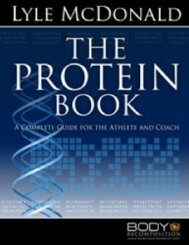 At over 200 pages and with over 500 scientific references, The Protein Book is a comprehensive look at the issue of protein intake for both strength/power and endurance athletes. Both coaches looking for the latest scientific developments in terms of optimizing protein nutrition for their athletes as well as athletes looking for answers to their questions will find them all covered in detail from both a theoretical and practical standpoint.